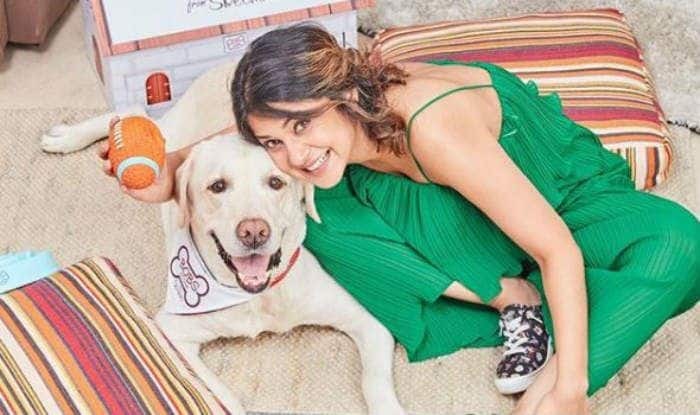 Television actor Jennifer Winget, who is known for her fashion sense and sartorial choices on social media, has recently shared her picture with her furry friend. Dressed in a green jumpsuit, she teamed up her look with sneakers and minimal makeup. In the picture, she can be seen smiling and striking a pose with her pet dog. The picture is too adorable to miss and Jennifer looks hot, as usual. To she who sees in black and white, thinks in greys but loves in colour. #NorietBlanc @trishasarang @mukeshpatilmakeup ‍♀️ @hairbyshardajadhav @kareenparwani ‍@simmerouquai 惡‍♀️ Me! She has recently grabbed the award for the BEST Actress (Fan’s Choice) for her show Bepannaah in which she was paired opposite Harshad Chopra. On the professional front, she will be next seen in Beyhadh season 2. She will also be hosting the dance reality show Nach Baliye alongside comedian Sunil Grover.